Designed for Sweden's massive conscript army during the Cold War, these were barely used since a Soviet invasion never materialized. 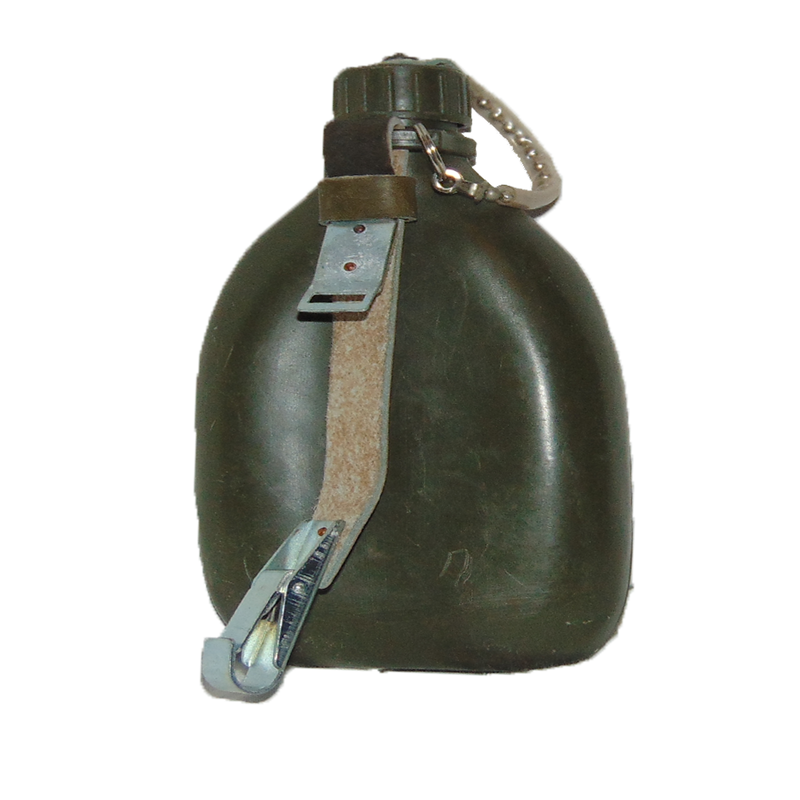 The Pattern 304 canteen is a compact, sturdy little plastic canteen designed to work with the Pattern 304 webbing. 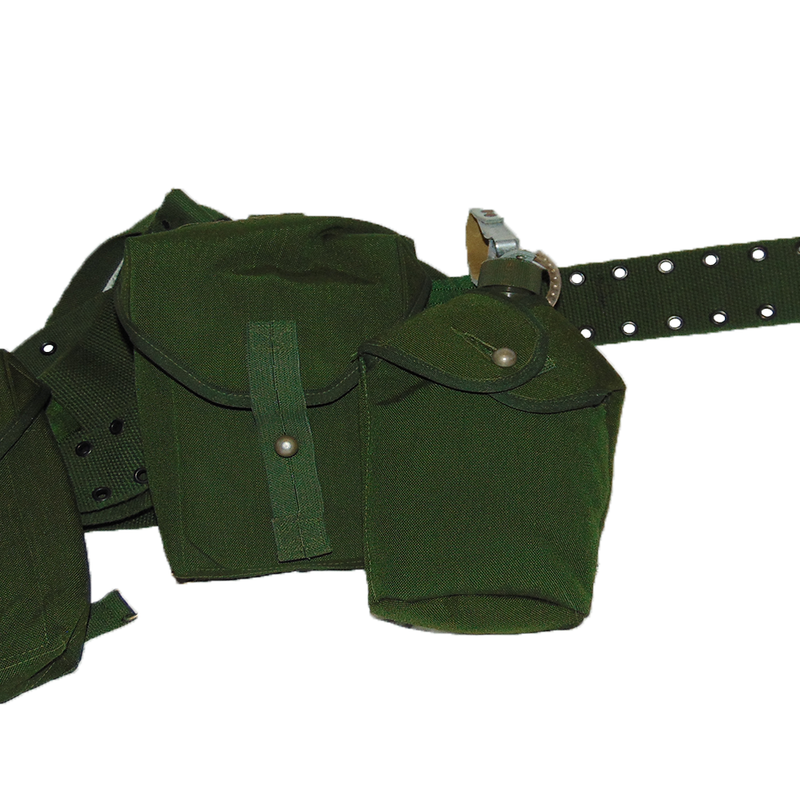 Features the Swedish "Tre Kroner" ("Three Crown") insiginia, a leather carrying strap, and a metal strap reinforced with a leather anchor and plastic tube on the cap. 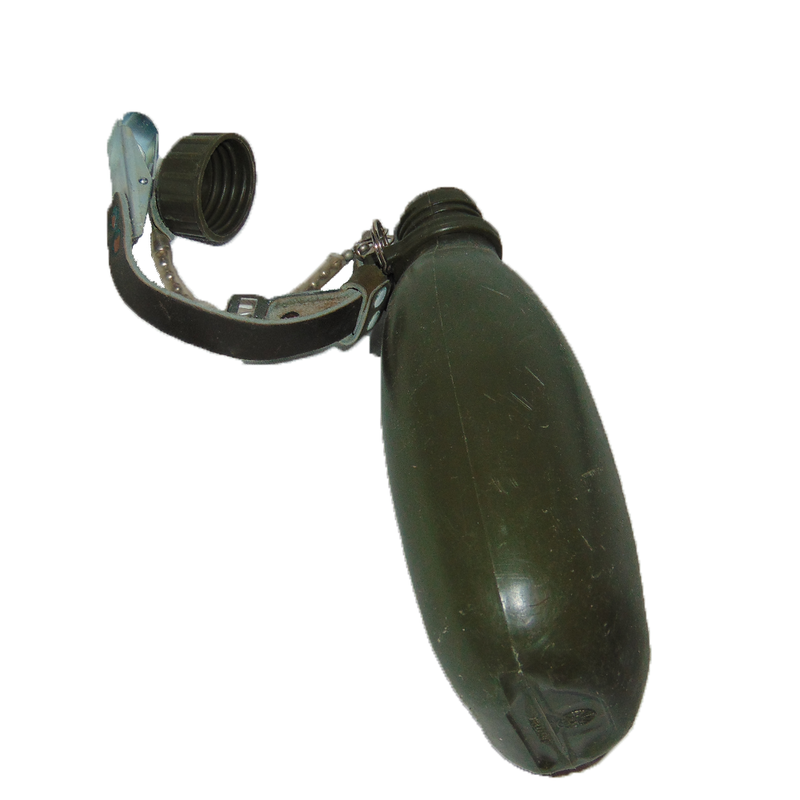 These little canteen holds up to 0.7 litres, but will never fail to do the job, unlike a lot of modern plastic canteens. Solid canteen, holds water, some cool insignia, what else could you want?